The Sarasota Sportsmens Association (SSA) has donated $5,000 to the Sarasota Bay Estuary Program (SBEP) for the artificial reef program in Sarasota Bay supported by SBEP, Sarasota County, Manatee County and other partners, SBEP has announced. SSA has donated a total of $50,000 to the program since 2003, a news release says. SSA, which was founded about 19 years ago, is a nonprofit organization that supports outdoor events and activities while providing education opportunities focused on fishing, youth education, good sportsmanship, conservation and public safety, the release adds. The SBEP and its partners established the area’s Artificial Reef Program in 1996 to replenish hard bottom habitat lost as a result of dredge-and-fill operations undertaken in prior decades, the release points out. 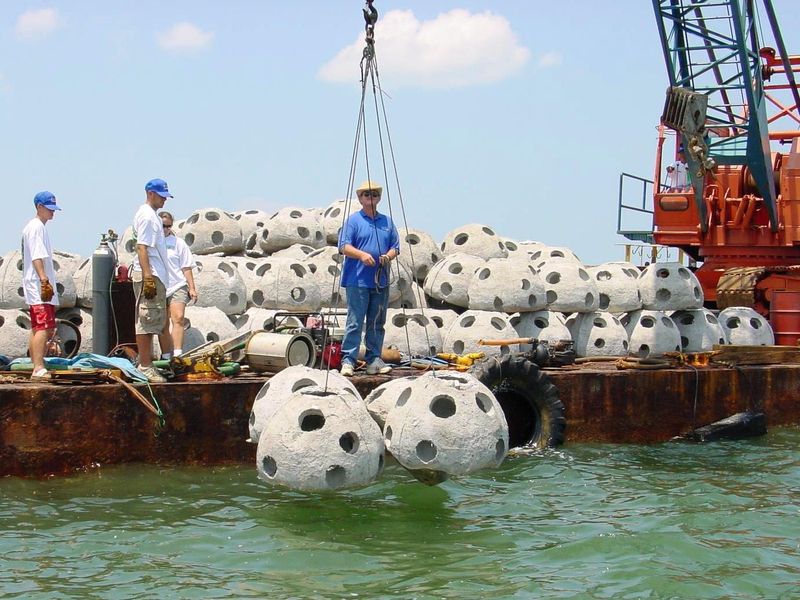 More than 5,000 artificial reef modules and other materials, such as concrete culverts, have been deployed in Sarasota Bay to attract fish species, the release notes. 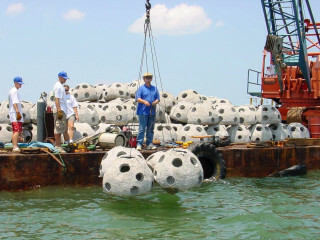 Reef Innovations manufactures the prefabricated reef modules, also known as reef balls, the release continues. Once deployed, the reef modules provide a substrate for soft corals, filtering bivalves, and crustaceans, which, in turn, serve as food for a variety of game and non-game finfish as well as shellfish, the release adds. “One of the reef balls off the Venice Inlet has a special plaque acknowledging SSA as a major contributor to the region’s Artificial Reef Program,” the release points out. In 2006, Mote Marine Laboratory began a two-year project to monitor five reef sites on behalf of the SBEP. The findings resulted in the development and deployment of modules of various sizes to enhance the habitat choices for native fish species in their earlier stages of development, the release says. Among those species are gray snapper, gag grouper, sheepshead and stone crab. “The effort has increased the biodiversity of Sarasota Bay,” the release adds. A study by the University of Florida reports that artificial reef deployments throughout the state have had a significant impact on the economy by enhancing fishing, boating, scuba diving and other recreational activities, the release continues. “The study also noted strong public support for the use of public funds toward the development and maintenance of artificial reefs in Florida waters,” the release adds. “Approximately 2,700 artificial reef modules are located off 34 coastal counties in Florida.